Payton's Place is an example of a commercial playground design with an emphasis on creative and imaginative play. 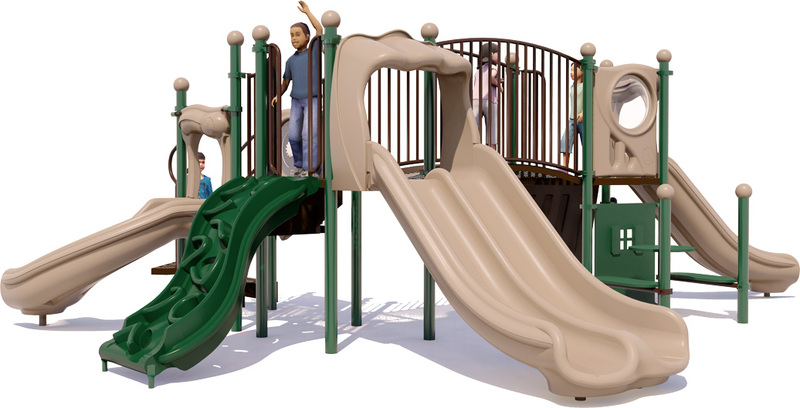 The play components on this play structure encourage an active mind, but they also provide fitness opportunities as well as fun. This playground can accommodate up to 40 children aged 2 to 12 with its twelve play activities. The House Panel when combined with the Bench Seat Table for Two set creates a domestic play space so children can engage in pretend time. The Moon Phase Panel uses an interactive component to demonstrate mechanical reactions while teaching kids the waxing and waning features of the moon. The Tree Stump Climber and Apex Climbing Attachment provide ample opportunity for children to expend their excess energy while improving their physical fitness. 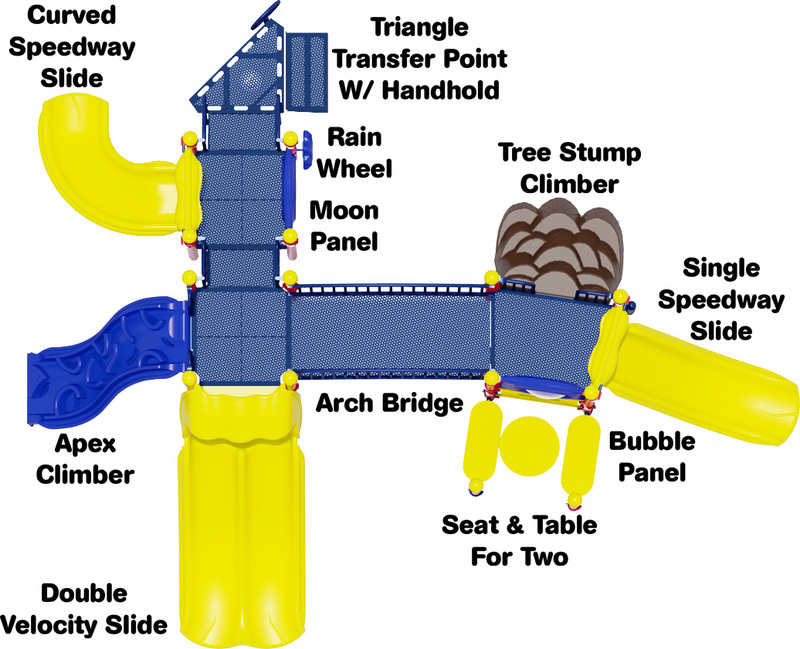 The slides are an essential play component to any playground, in fact, one might question if it's really a playground with out a slide. 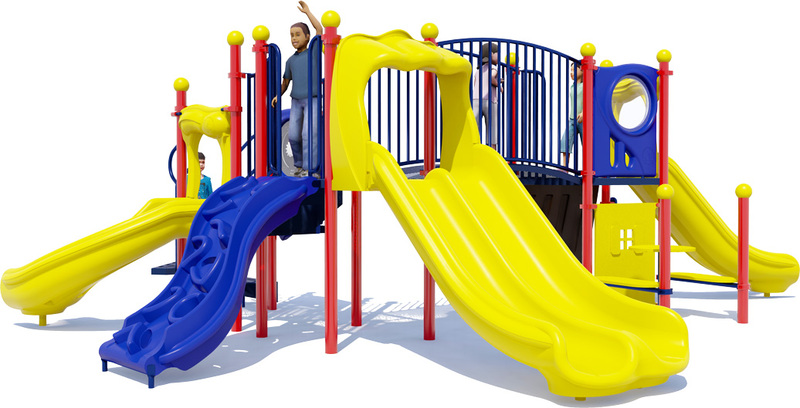 The Single Speedway and Curved Speedway slides offer independent play, while the Double Velocity Slide encourages side-by-side races. A Bubble Panel and House Panel. A Seat & Table for Two for pretending to picnic or play house. A Rain Wheel and Whistle for imaginative play. 3-1/2 O.D. x 12 gauge galvanized posts are powder coated. 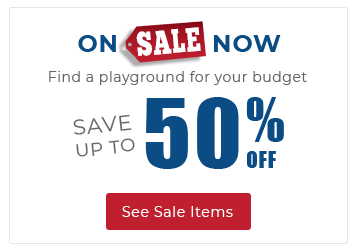 2 Single Slides, 1 Double Slide, 1 Tree Stump Climber, And More!